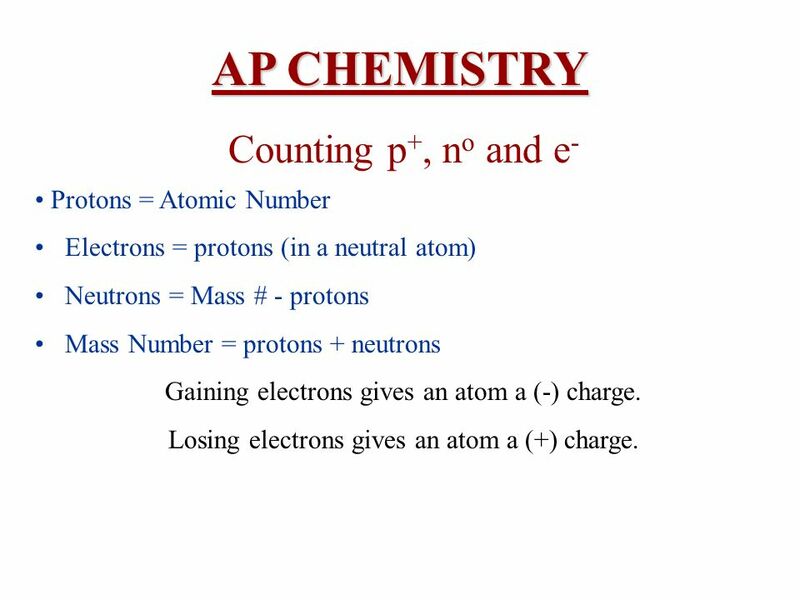 Electrons = protons (in a neutral atom) Neutrons = Mass # - protons Mass Number = protons + neutrons Gaining electrons gives an atom a (-) charge. 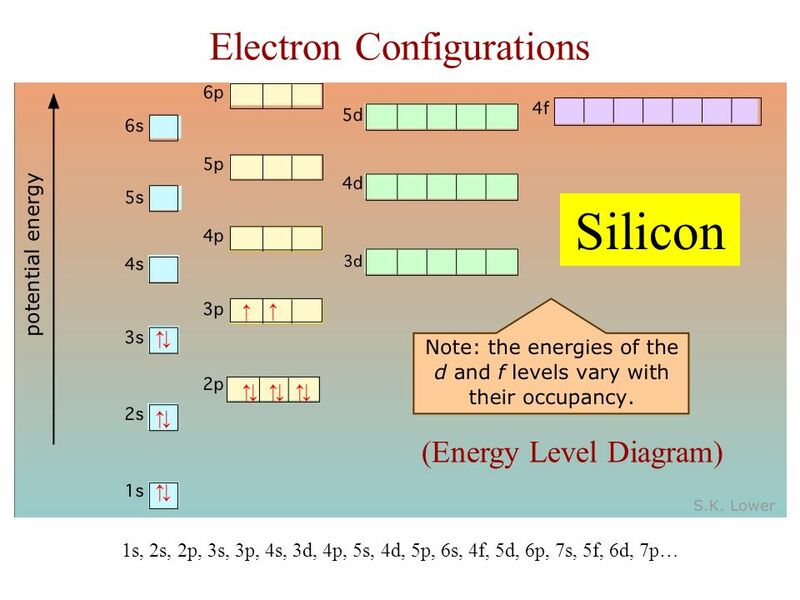 Losing electrons gives an atom a (+) charge. 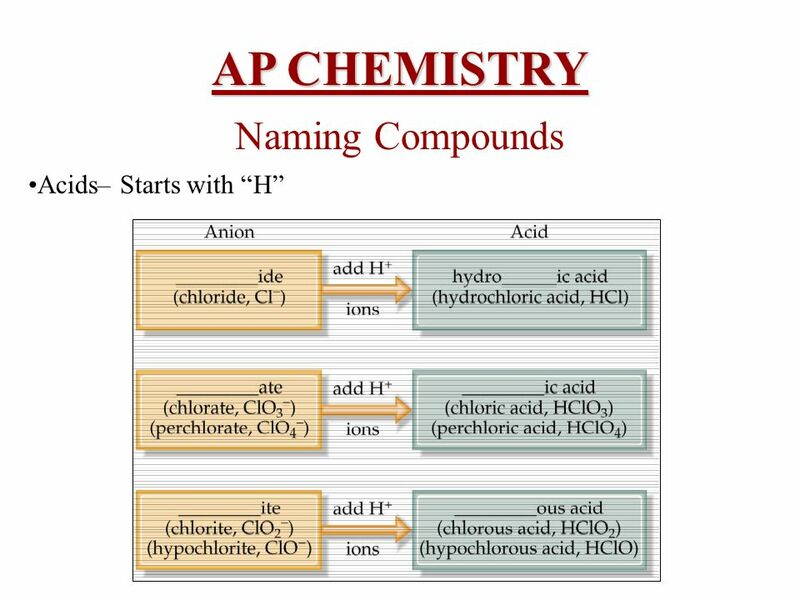 Ionic– Starts with metallic cation (or NH4+); ionic bonding. 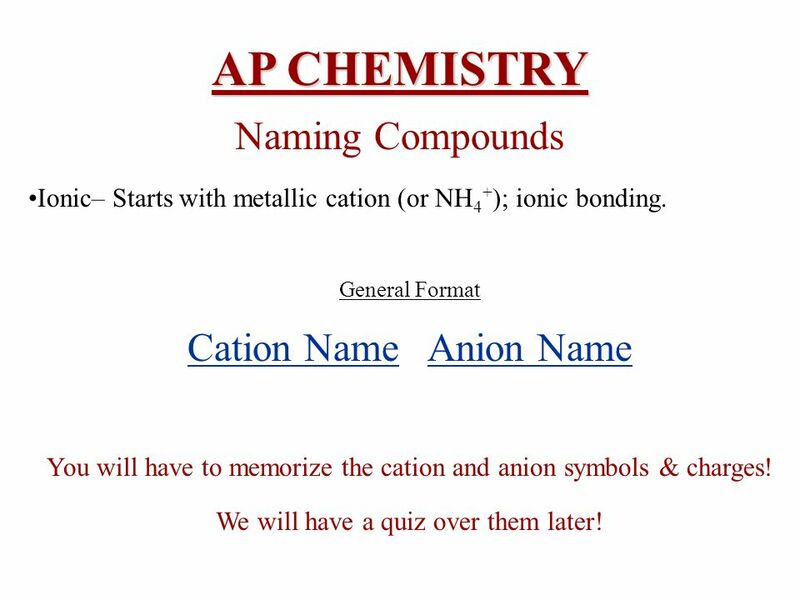 General Format Cation Name Anion Name You will have to memorize the cation and anion symbols & charges! We will have a quiz over them later! AW stands for the atomic weight of the atom from the periodic table. 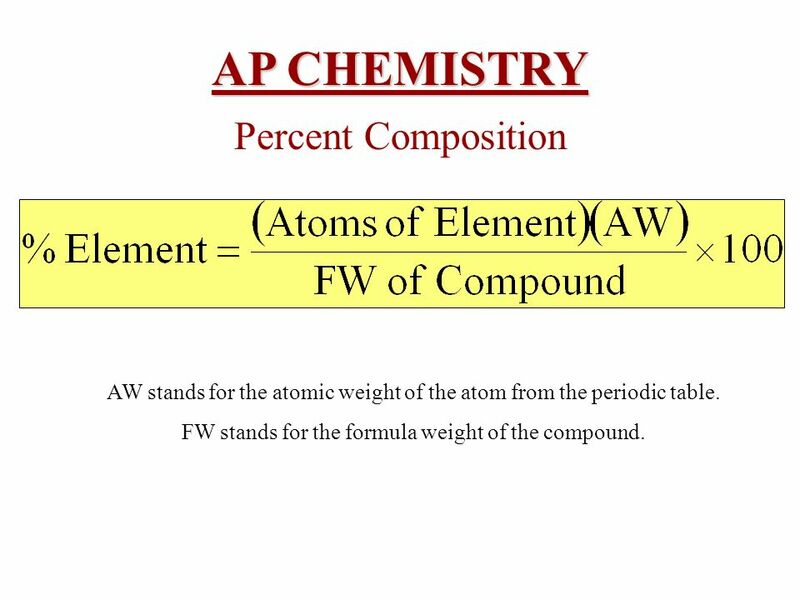 FW stands for the formula weight of the compound. 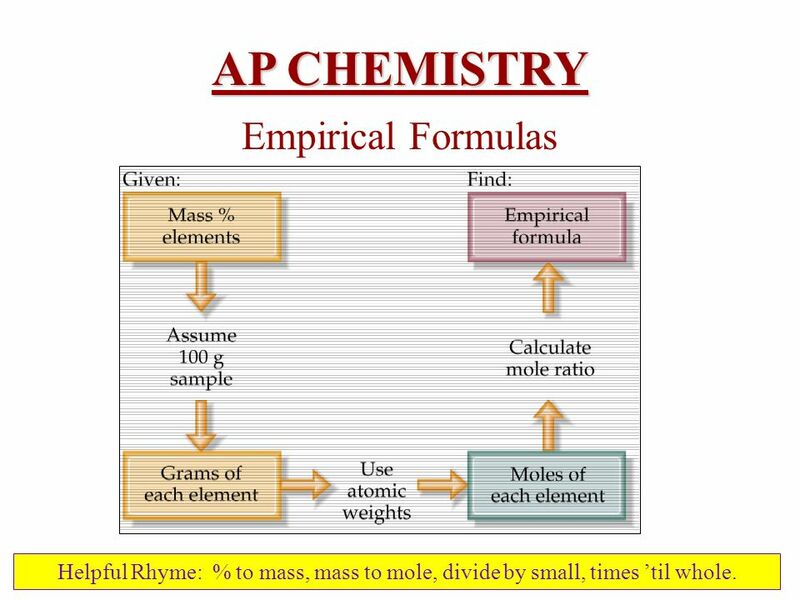 Helpful Rhyme: % to mass, mass to mole, divide by small, times ’til whole. 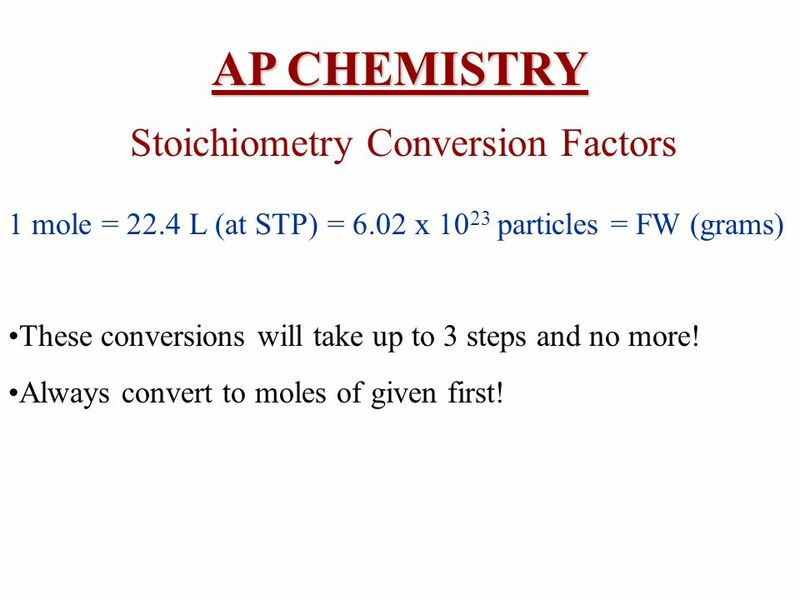 AP CHEMISTRY Stoichiometry Conversion Factors 1 mole = 22.4 L (at STP) = 6.02 x 1023 particles = FW (grams) These conversions will take up to 3 steps and no more! Always convert to moles of given first! 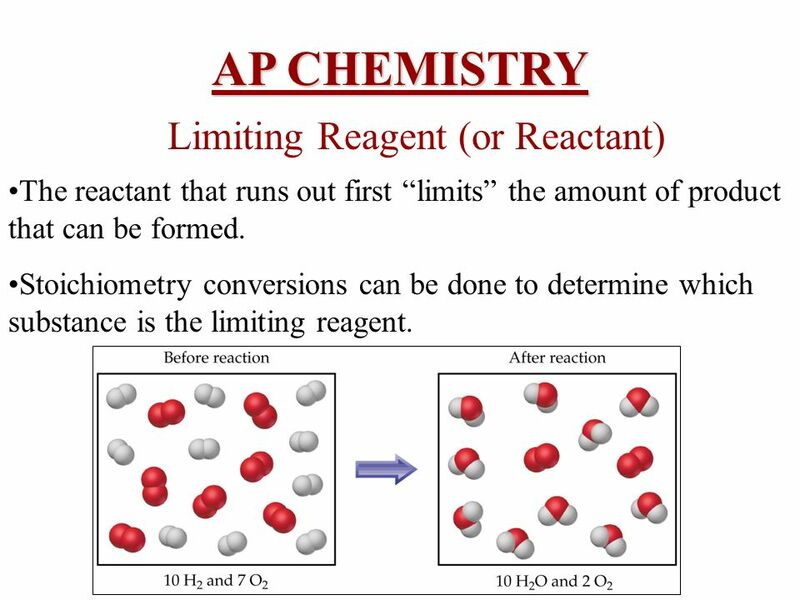 AP CHEMISTRY Limiting Reagent (or Reactant) The reactant that runs out first “limits” the amount of product that can be formed. 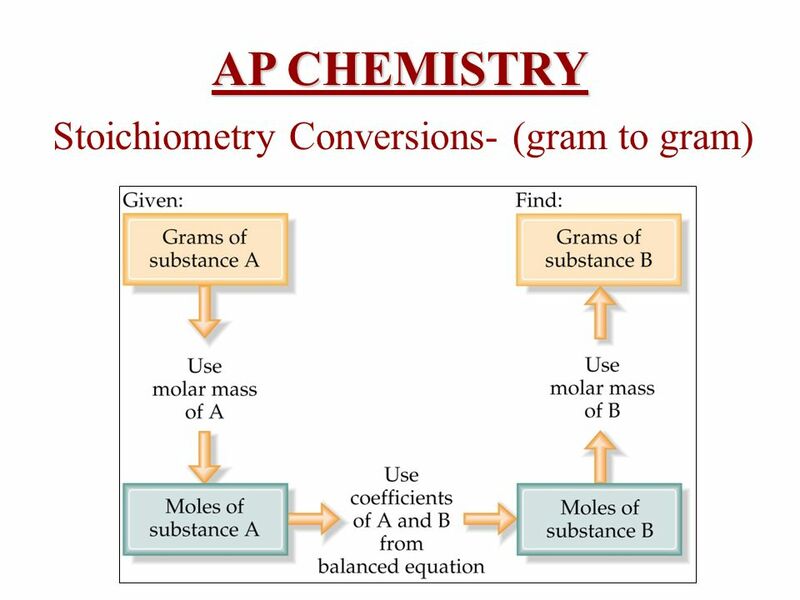 Stoichiometry conversions can be done to determine which substance is the limiting reagent. 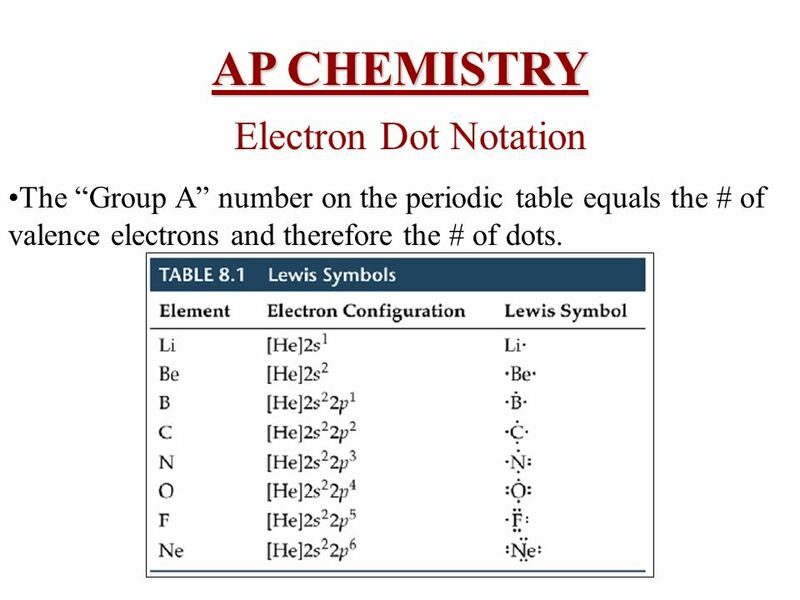 The “Group A” number on the periodic table equals the # of valence electrons and therefore the # of dots. 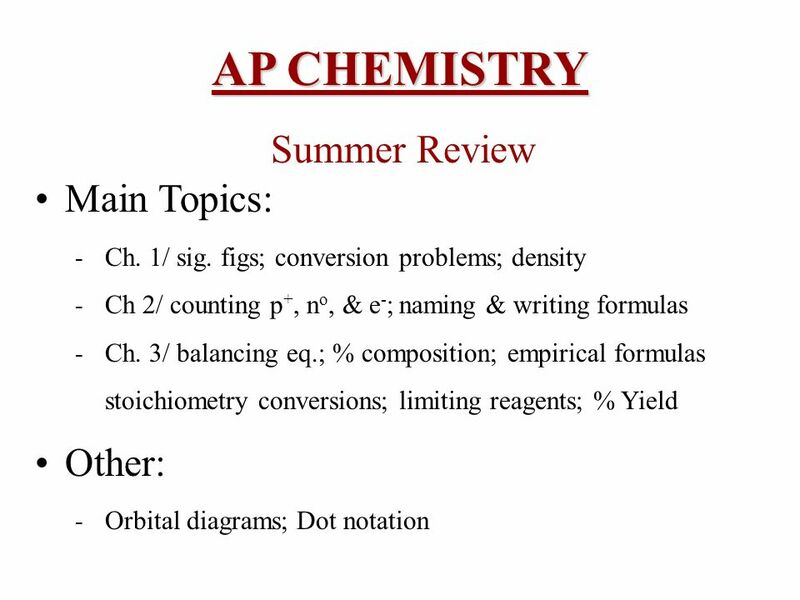 Download ppt "AP CHEMISTRY Summer Review Main Topics: Other:"
Unit 11 Stoichiometry CP Chemistry. 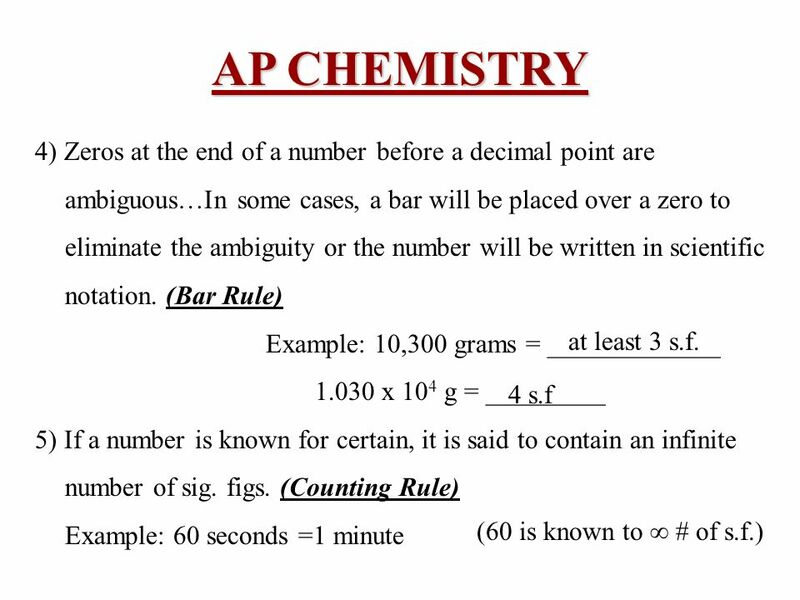 Significant Figures -why we use them -rules for sig. figs. -operations with sig. figs. 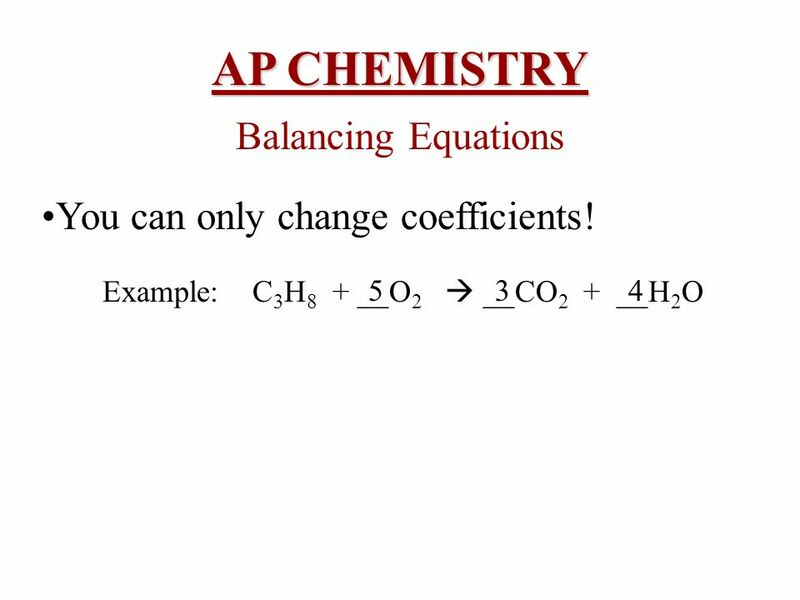 Chapter 3 Stoichiometry. 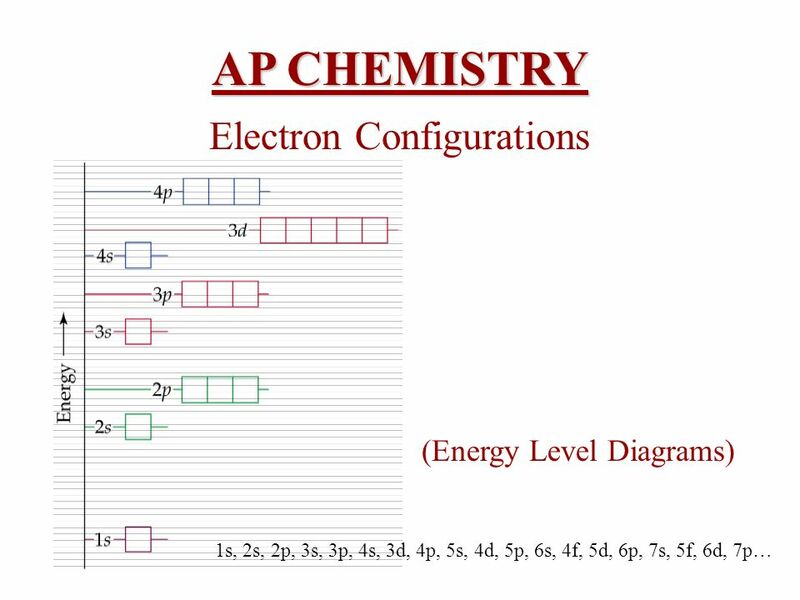 Section 3.1 Atomic Masses Mass Spectrometer – a device used to compare the masses of atoms Average atomic mass – calculated as. Stoichiometry Chapter 9 Stoichiometry  Greek for “measuring elements”  The calculations of quantities in chemical reactions based on a balanced equation. 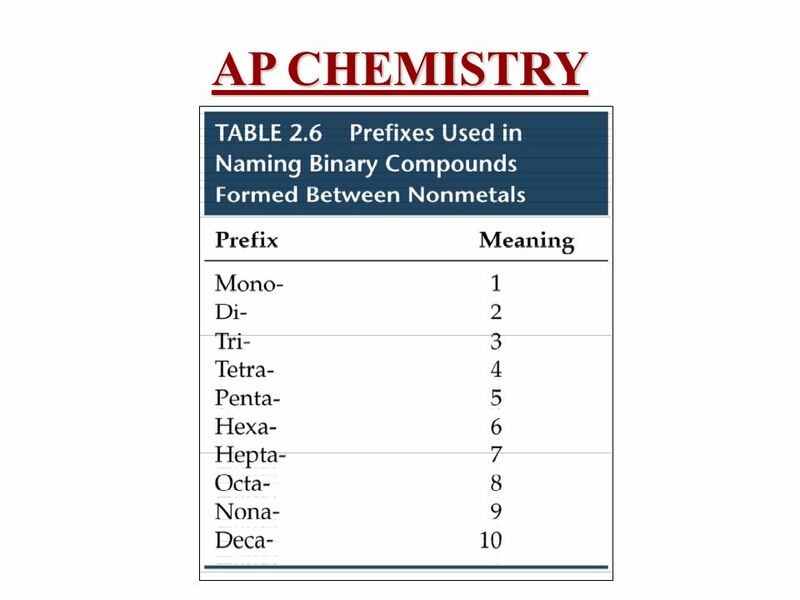 Chapter 9 Chemical Quantities Chemistry B2A Formula and Molecule Ionic & covalent compounds  Formulaformula of NaCl Covalent compounds  Molecule molecule. 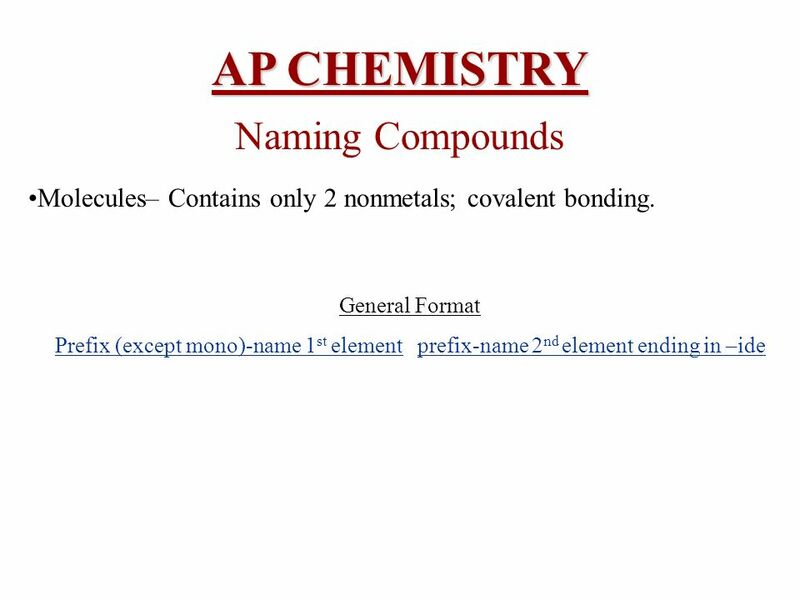 AP Chemistry West Valley High School Mr. Mata. Who were each of the following scientists? Democritus Dalton LavoisierMendeleev ThomsonMillikan RutherfordBohr Schrodinger. 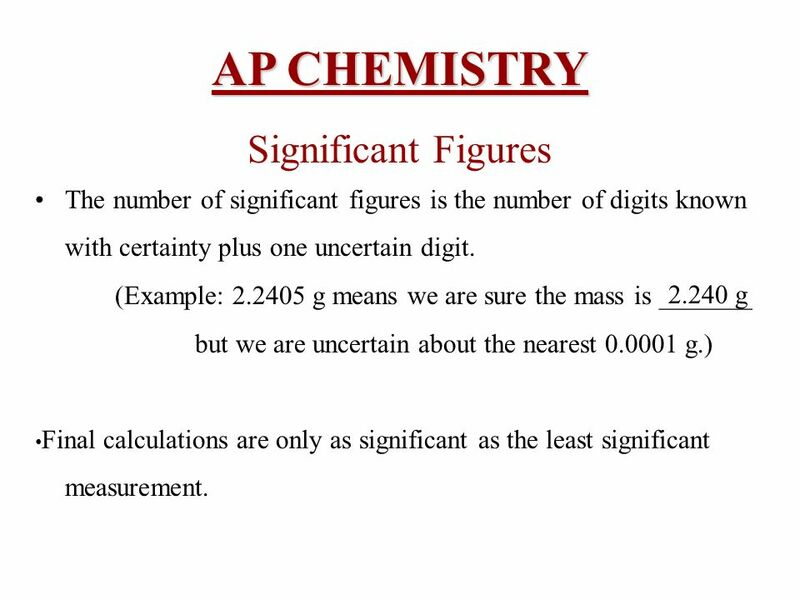 Significant Figures. 1.All nonzero digits are significant. 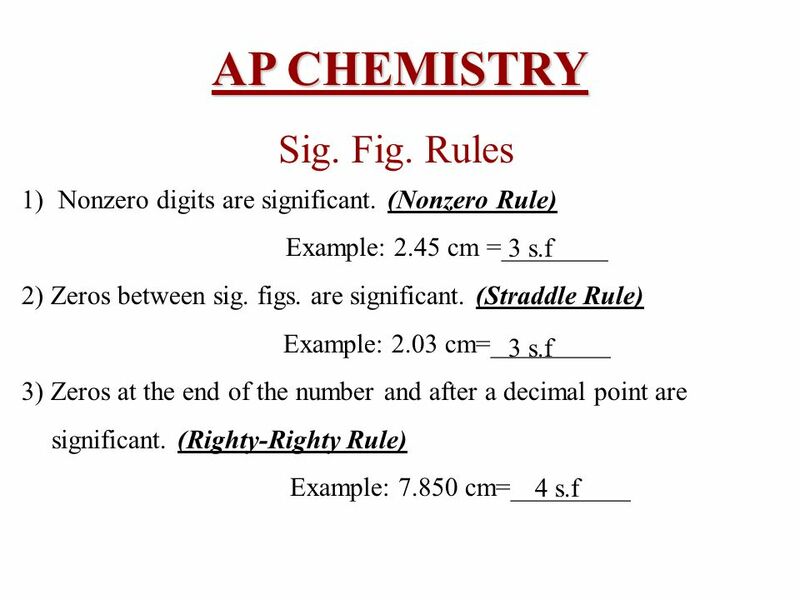 Example: 145 (3 sig figs) 2.Zeroes between two significant figures are themselves significant. 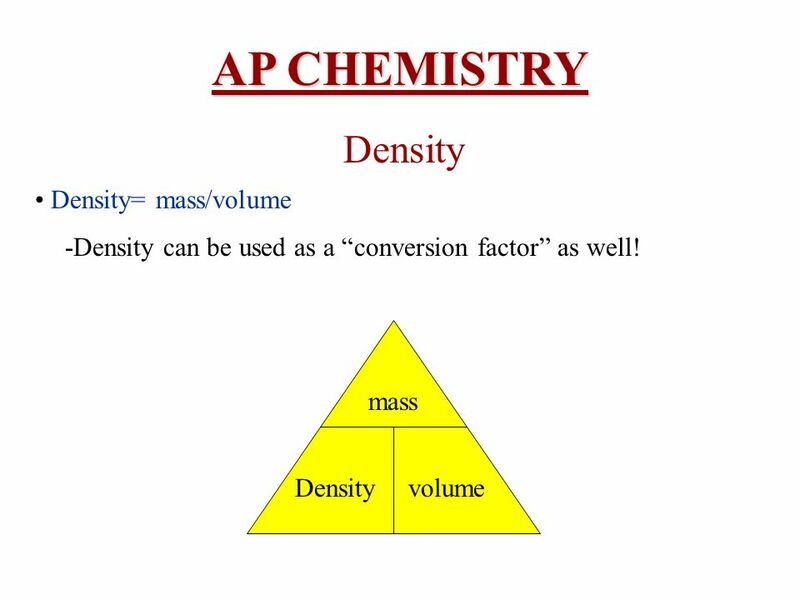 Chemistry Matter and Measurement 1 Chapter Overview 1.1 Chemical Foundations 1.2 Scientific Method : Observation – hypothesis – law – theory - experiment. Chapter 2 Standards of Measurement Objectives:  Understand Mass and Weight (2.1)  Identify the metric units of measurement (2.6)  Explain what causes. 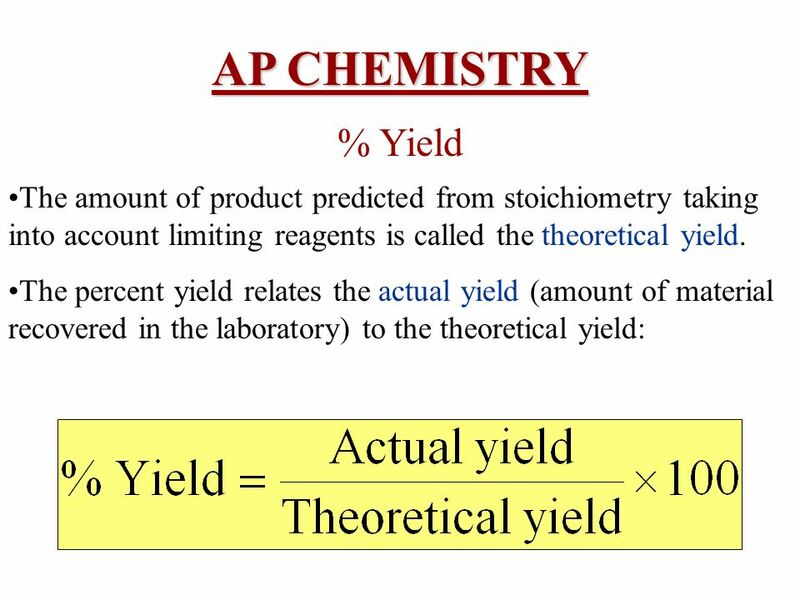 Chemical Stoichiometry Reacting Quantities and Material Balance Edward A. Mottel Department of Chemistry Rose-Hulman Institute of Technology. 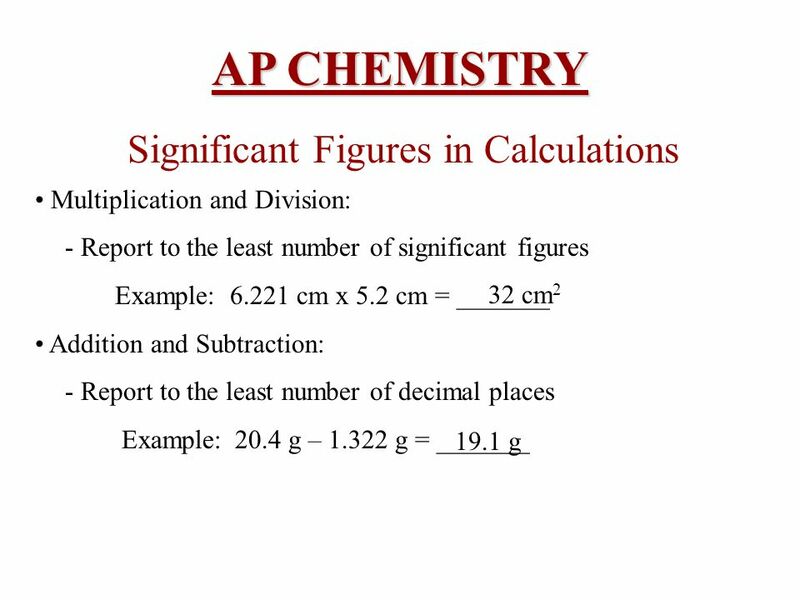 The Mathematics of Chemistry Significant Figures.